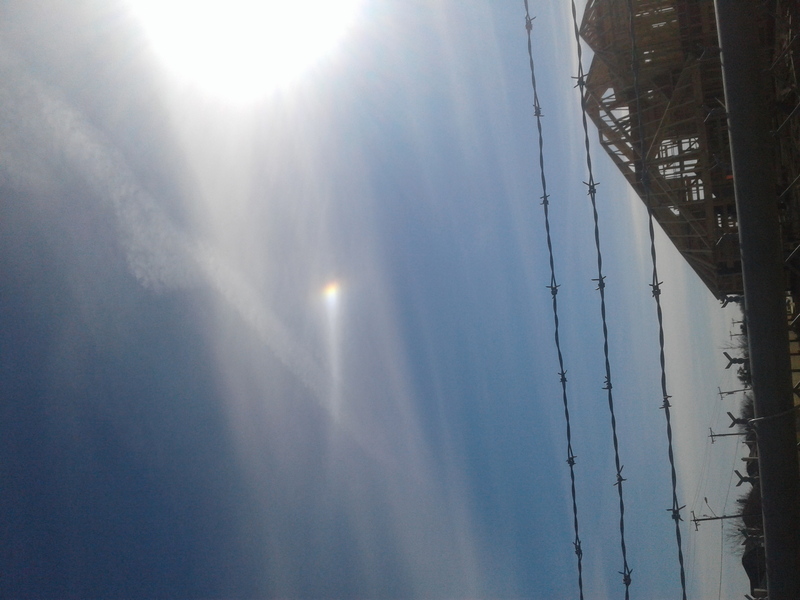 I was outside working and look up and saw this beautiful spot in the sky. multicolored did not move. stationary. it wasnt raining. it was cloudy and cold. 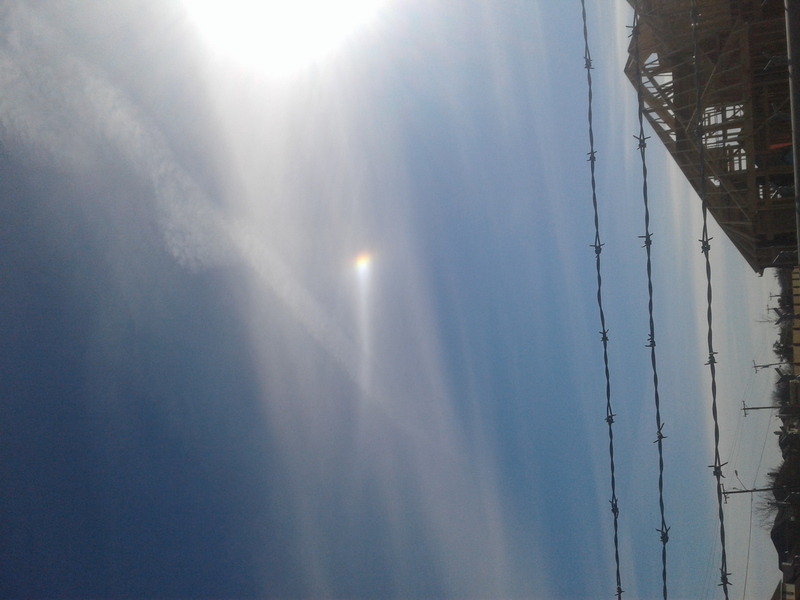 it first appeared like a rainbow but there was no ark no rain no other light connecting to it. my friend says he say a tail on it. lile a comet. all i saw was a spot of beautiful colors. i dont know what it is.